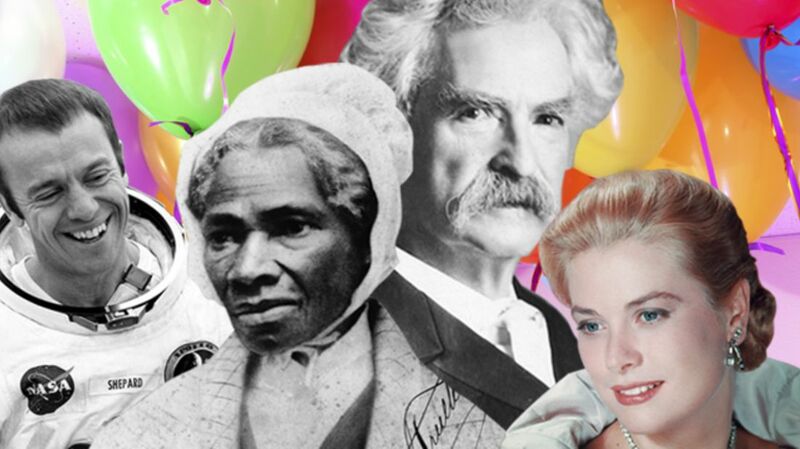 Some of history's greatest pioneers and artists were born in the month of November. We couldn't possibly name them all, but here are just a handful whose lives we'll be celebrating. Frontiersman Daniel Boone was born in Pennsylvania and died in Missouri, but he is most closely associated with the American West. As one of first folk heroes to emerge in American history, there's bound to be a few myths surrounding the man, one of which is his iconic coonskin cap. Renderings often show him donning the fur fashion, but the truth is, he simply never wore one. In fact, he reportedly hated them. Marie Curie is best known for being a pioneer for women in sciences—and for being the first person ever (and only woman in history) to be awarded two Nobel Prizes. To this day, only four people have done it: Frederick Sanger, Linus Pauling, John Bardeen and Curie. Born in Poland, she studied physics and math at the Sorbonne in France, where she married Professor Pierre Curie. Together, they studied radiation and radioactive materials, and won a joint Nobel Prize in Physics for their research in 1903. Following the death of Pierre in 1906, Marie fell in love with one of her students—a married man. Their love letters were leaked to to the press, and her paramour challenged the newspaper editor to a duel to defend Curie's honor. While the scandal raged in France, Curie was awarded her second Nobel Prize, this one in chemistry, for her work with radium and polonium. Carl Sagan was an astronomy professor at Cornell University and a consultant for NASA, but he was best known for inspiring the public with his reverence for the universe around us—and explaining it all in an easy-to-understand way. He was a bestselling author (he won a Pulitzer Prize in 1977 for The Dragons of Eden), and his 1980 PBS series Cosmos: A Personal Voyage is still among the most popular and widely-watched PBS series of all time. And while Sagan certainly wanted to communicate the enormity of the universe to the public, he never actually said the phrase "billions and billions." That catchphrase came from his friend Johnny Carson, who spoofed Sagan in a 1980 Tonight Show skit. Grace Kelly starred in 11 high-profile movies and several more television shows between 1950 and 1956, and in that brief time, left quite an impression on the pop culture universe. But the actress gave up her Hollywood career to marry Prince Rainier III of Monaco, after which she became Her Serene Highness, Princess Grace of Monaco. In 1962, Alfred Hitchcock managed to convince her to come out of retirement to star in his film Marnie, but the people of Monaco weren't thrilled with the idea. Kelly soon dropped out of the cast, citing scheduling conflicts. She died two decades later following a one-car accident in France. Georgia O'Keeffe was a dedicated artist from an early age; she was well known in the New York art scene even before she became obsessed with New Mexico in the late '20s. O'Keeffe moved there permanently in 1949, and produced a huge body of work focusing on the flowers and landscapes of the American West. She even modified her Model-A Ford to use as a painter's studio so she could paint outside without being exposed to the sun. The Georgia O'Keeffe Museum in Santa Fe has over 240 of her oil paintings, watercolors, and sculptures. 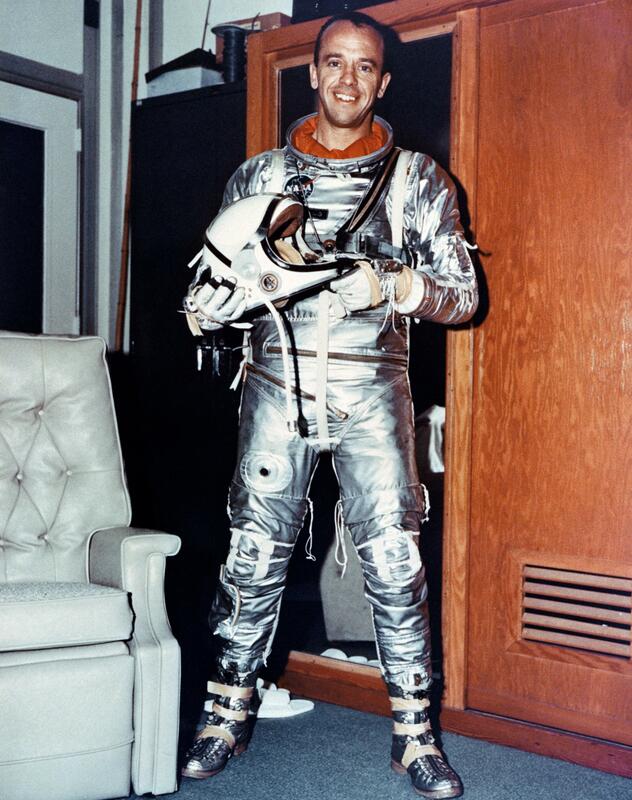 One of NASA's original Mercury astronauts, Alan Shepard went down in history as the first American in space when he rode the Freedom 7 spacecraft to an altitude of 116 miles on May 5, 1961 (in a pee-soaked suit, no less). The 15-minute trip was preserved on film, and today, you can virtually ride along with Shepard 55 years after the fact. Shepard also walked on the moon as part of the Apollo 14 mission in 1971. British author George Eliot was born Mary Ann Evans, but she adopted the male pen name so her work would be taken seriously—a valid concern in the Victorian era, when women authors were expected to stick to romance novels. Additionally, Evans wanted her literary efforts to be separate from her work as an editor and literary critic. She ultimately penned seven novels in all (along with short stories and poetry), including Middlemarch and Silas Marner. It wasn't until after the publication of 1859's Adam Bede that she came forward with her true identity after an imposter tried to claim credit for the work. Charles M. Schulz spent nearly 50 years drawing the adventures of Charlie Brown and his friends in the comic strip Peanuts. The simply-drawn young children with their grownup thoughts and conversations struck a chord with readers, and the ring of truth in the work made sense: Charlie Brown himself was a reflection of Schulz's own life, particularly his angst and difficulties with women. Schulz would never have retired if it weren't for health problems. He died of colon cancer just hours before his final Peanuts strip was distributed in the Sunday, February 13, 2000 newspapers. November 26 (1883) is actually Sojourner Truth's death day, but we're celebrating it among the birthdays because the abolitionist and women's rights activist's birth date is unknown. We do know she was probably born in 1797 in New York, named Isabella Baumfree, and grew up speaking Dutch as her first language. She escaped from her owner in 1826, taking her infant daughter with her, just one year before the state of New York freed all slaves. Baumfree had four other children, and soon after her escape, she learned that her five-year-old son had been sold illegally to a slaveholder in Alabama. In a landmark court case, she sued the man, and won. Baumfree changed her name to Sojourner Truth in 1843 and spent the rest of her life preaching, and campaigning for abolition and women's rights.